Celebrate Mardi Gras in style with this classic Big Easy cocktail, the Hurricane. The Hurricane dates back to the 1940s, first appearing at Pat O’Brien’s on Bourbon Street in the French Quarter, where it has become a mainstay. The drink uses a lot of rum—creator Pat O’Brien invented it for that purpose—and the original recipe calls for 150 proof rum to top it off! There’s also no orange juice called for in the original recipe, but modern versions often add it. 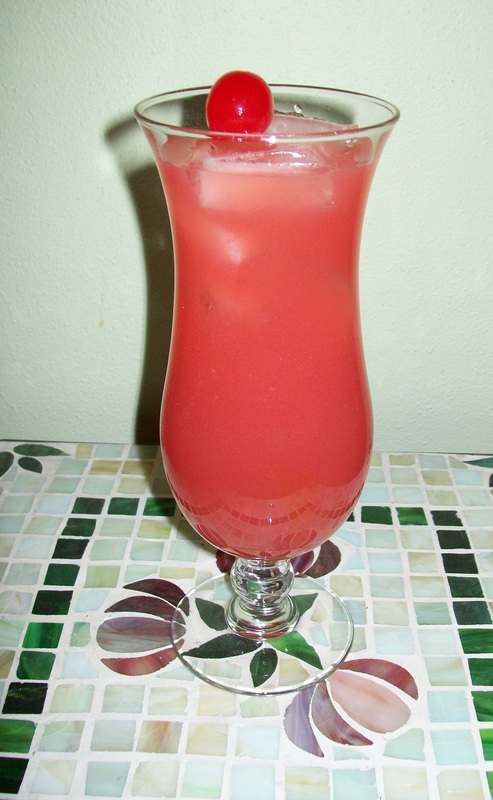 What you’ll need: Dark Rum, White Rum, Passion Fruit Juice, Orange Juice, Lime Juice, Grenadine, and simple syrup. Pour 2 ounces each of dark and white rum in a shaker over cracked ice. Add in 2 ounces of passion fruit juice, 1 ounce of orange juice, and 1/2 ounce of lime juice. Put in a dash of grenadine and a tablespoon of simple syrup. Shake and then strain into your glass, ideally a hurricane lamp-shaped one. (Although in New Orleans at Mardi Gras you’re likely to get it in a plastic cup!) Garnish with a maraschino cherry and slice of orange. How I like it: Sitting in the French Quartier sipping the Hurricane while watching the revelers on Bourbon Street would be ideal, but enjoying it at home (while watching those revelers on Youtube) will likely save one’s eardrums. Now, considering the tropical nature of the drink, you may want to consider using agave syrup in place of the simple syrup. I used an organic blue agave syrup with vanilla flavor. I was able to use it without watering it down as, unlike honey (another possible substitute), it didn’t seize up when it hit the ice. In a pinch, if passion fruit juice proves difficult to come by, try a favorite fruit punch or perhaps strawberry banana juice. Go crazy, but not too crazy, and drink responsibly!